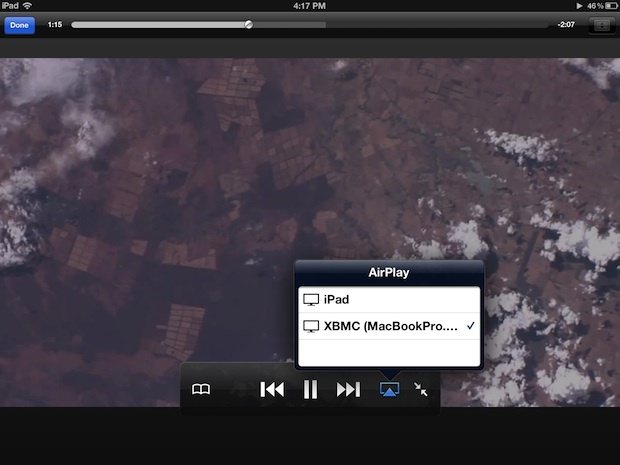 XBMC is a powerful free app that turns any Mac or PC into a full fledged media center. The newest version has been updated with a slew of improvements, but most interesting for iPhone and iPad users is the addition of AirPlay video support. This means you’ll be able to wirelessly transmit video from an iOS device to anything running XBMC, whether it’s a Mac hooked up to a TV or an old PC, here is how to set that up and get AirPlay video working. Unfortunately XBMC will only accept non-DRM video to be shown with AirPlay, meaning some trailers within Trailers app and a fair amount of content downloaded from iTunes won’t show up at all. 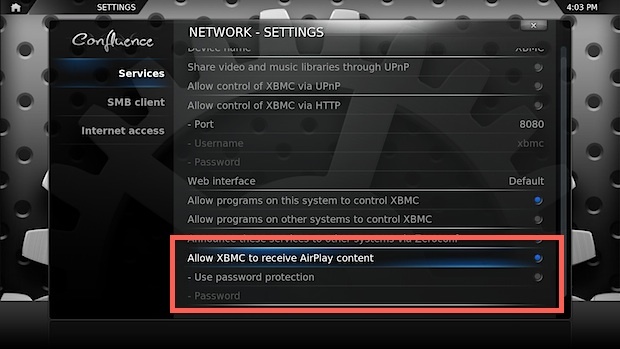 You’ll know instantly if it’s working or not because the video either works or it doesn’t within XBMC. 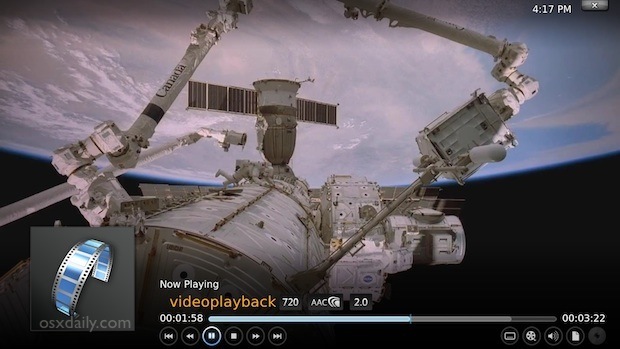 Even if you don’t have an interest in the media center and AirPlay side of things, XBMC is worth having around for its ability to play a wide variety of movie formats that would otherwise require codecs, including MKV, divx, and others. Great Job and offering Team-XBMC!! Great to see this sort of functionality being built in. I always run AirServer on my Mac, but use Plex (which is awesome). You should mention that the xbmc for iOS can only be installed on a jailbroken iDevice. @Joseph, just to be more precise, I can access my jailbroken ATV1 (not IOS device) running the new Eden on all my NON jailbroken IOS devices, i.e iPad 1, iPad 2, iPod 4thgen. and you guys are amazing ! Thanx also to OSX Daily for being the first to cover this cool major plus !